More than 12,000 traffic fines were issued to motorists for using their mobile phones behind the wheel during the last three months, a drop of 24 per cent compared to the same period last year, Dubai Police have said. Dubai Police issued 12,257 traffic fines to people using their mobile phones while driving between January and March this year compared to 16,090 during the same period last year, according to a police official. This means almost 136 people were fined every day. The offence attracts a fine of Dh800 and four black points. Colonel Juma Salim Bin Suwaidan, Director General of Traffic Department at Dubai Police said using the mobile phone while driving is classified as a serious offence and one of the main reasons leading to major traffic accidents in the city. He said that the month of January 2018 saw 4,380 violations compared to 5,671 during the same period last year. In February 2018, 3,582 fines were issued to motorists compared to 5,152 in February 2017. As for March 2018, 4,295 fines were recorded as compared to 5,267 during the same period in 2017. 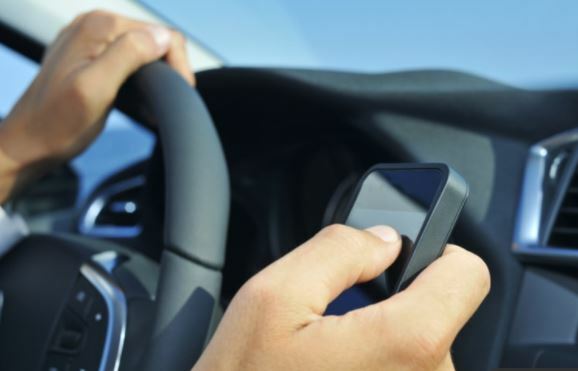 “Using a mobile phone while driving disrupts a large part of the vital functions necessary for safe driving, and the ability to act quickly to avoid a dangerous situation especially when the motorist is busy checking social networking sites, or writing text message,” he said. He called on road users to adhere to traffic rules, and avoid doing anything that would distract them from the road, such as talking on the mobile phone, writing text messages or checking social media sites. Previous articleSaudi: Is Disney Land Really Coming to the deserts?